The Philippines' diverse natural wonders make us a sought-after destination among the pack of adventurers; those who choose to explore outdoor escapes," shared the Philippine Secretary of Tourism. He noted with enthusiasm, "While adventurism has just recently been recognized as a global trend, the Philippines has been catering to this demand as a way of life – being blessed with mountains, caves, white waters, name it, the Philippines has it." At the recently-concluded highly successful Adventures in Travel Expo (ATE), travel buffs got a sneak peak of Philippines adventure travel where the tropical archipelago was given the spotlight as the featured destination. "It was an excellent venue to showcase the wealth of adventure the Philippines has to offer," Undersecretary for Tourism Planning and Promotions Eduardo Jarque, Jr. commented. "Trekking and mountain hiking in Mount Pulag and Mount Apo, lake and trail trips in Taal volcano, heritage tours in Banaue and Sagada are only some of the unique ways to plan a Philippines adventure travel itinerary," he added. 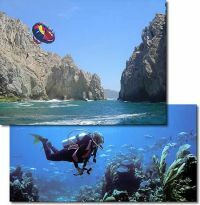 Scuba diving, snorkeling, wakeboarding, surfing, mountain biking, spelunking, white-water rafting, sea kayaking, are other choices for exploration. The diversity of natural resources in the Philippines also allow for ecotourism activities like organic farm tours, canopy walk adventures, and cultural community immersions. The Philippine booth in the Adventure in Travel Expo featured these and more. "Aside from the seminars, the expo attendees who visited the booth received materials on the country, arranged tour packages, answered surveys and went home with native souvenirs," Jarque explained. The country offers countless adventures from whitewater-rafting to kayaking through limestone caves to rappelling down mountains and waterfalls. And because of favorable exchange rates, the country is affordable on any budget. These elements were highlighted at the Philippine booth in the expo. Also home to the most diverse marine ecosystem known to exist, the Tubbataha Reef National Marine Park in Palawan, the Philippines has attracted the most serious of scuba divers the world over. The Tubbataha Reef is a scuba diving mecca featuring two of the world's oldest and most distinct reef systems. Aside from the featured destinations and attractions, noted travel authors Lisa Greyhill and Carlos 'Caloy' Libosada, Jr. gave relevant talks at the expo and engaged the numerous visitors who stopped by to learn more about the Philippines' 7,107 islands and Philippines adventure travel. Co-founder of Adventure Travelers Society and author of a collection of humorous travel tales entitled, Miss Adventures, Greyhill highlighted a few select destinations and their offerings, as well as presented some basics on 'what to know before you go.' Her remarkable presentation, 'A World of Adventures Awaits in the Philippines,' gave an overview of the irresistible marvels and exciting quests one could look forward to. Meanwhile, travel writer Caloy Libosada, famous for his '26 Days Around the Philippines,' delivered an interesting talk on a number of Philippines adventure travel activities possible in the country – from pure adrenalin-pumping actions like surfing and trekking to more grey matter activities that focus on biodiversity, landscapes, and cultural interaction. His sharing of a seemingly never-ending tale of exploration was entitled 'Adventure Philippines: From Easy to Extreme' and thrilled numerous travelers from different nationalities and backgrounds. "It was an enriching experience having renowned travel writers share their first-hand experiences on their unforgettable adventures in the country. Hearing their stories truly enticed travelers both young and old to go through the same, and realize for themselves the myriad of Philippines adventure travel options here in the country," Jorda-Apo noted. "Our cosmopolitan cities, designer shopping malls, upscale spa facilities featuring traditional massage or 'hilot', a sampling of delectable Pinoy fares and private-island resorts cater to luxury travelers, just as our islands in general are perfect for those looking for unique cultural experiences. Adventure travelers can also possibly discover their own personal Man vs. Wild or Survivor experience while in our more remote islands," said Vernie Velarde-Morales, Director of the Philippine Department of Tourism. Adventure buffs and travel aficionados can visit the Philippine Department of Tourism at www.experiencephilippines.ph for a list of viable options for their next Philippines adventure travel journey.